Acknowledgements. Preface. Introduction: Biomedical Innovation and Policy in the 21st Century. The Rise of Genomics and Personalized Medicine. Patient Narratives: Personalized Medicine in the Field. Alliances: Knowledge Infrastructures and Precision Medicine. Great Strides in Precision Medicine: Personalized Oncology and Molecular Diagnostics. Personalized Medicine’s Impact on Disease. The Genome in the Clinic: Diagnosis, Treatment and Education. A New Set of Clinical Tools for Physicians. The Regulatory Landscape. Translational Personalized Medicine: Molecular Profiling, Druggable Targets and Clinical Genomic Medicine. 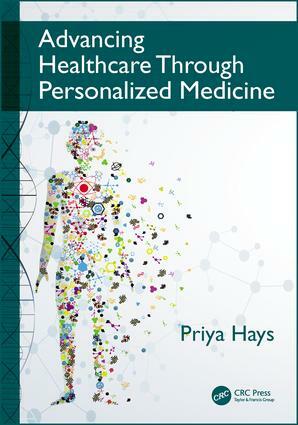 The Economics of Personalized Medicine. Moral and Ethical Issues: Claims, Consequences, and Caveats. Conclusion. Priya Hays has an A.B. from Dartmouth College and a Master’s in Genetics and Ph.D. in Literature from the University of California. She also conducted research at Dartmouth Medical School for her postdoctoral fellowship. She has taught science writing at Santa Clara University and San Francisco State University. Currently, she is a technical writer at Cepheid Corporation, Sunnyvale, California, USA. Her research interests in biomedicine involve social and cultural aspects of medicine and health, public understanding of genetic testing, stem cell research, and areas in biomedical ethics. She also has an interest in science and technology policy, focusing on biomedical and nanotechnology policy.